Bucharest can offer you the right type of entertainment. In Bucharest there are clubs, pubs, bars, discotheques, night clubs, and casinos everywhere. Many nightclubs are concentrated in or around the historic centre, making club-hopping an option. These places are mostly open all night and they await you with great music, superbe drinks and a friendly and welcoming atmosphere. Address : 14, Gabroveni Str. Address : 24, Magheru Blvd. Address : 14, Blanari Str. Address : 35-37, Academiei Str. Address : 13, Sf. Stefan Str. Address : 3a, Ion Oteteleseanu Str. Address : 11, Turturelelor Str. Address : 2, Icoanei Str. Address : 6, Covaci Str. Address : 12. Gabroveni Str. Address : 38b, Magheru Blvd. Address : 54, Regina Elisabeta Blvd. Address : 16, Covaci Str. Address : 31, Baratiei Str. Address : 3-5, Natiunile Unite Blvd. Address : 89, Mihai Eminescu Str. Address : 1, Mendeleev Str. Address : 41, Iancu de Hunedoara Blvd. Address : 25A, Berzei Str. Address : 13, Schitu Magureanu Blvd. Address : 19-21, Academiei Str. Address : 4, Sf. Vineri Str. Address : 3, Mihail Kogalniceanu Str. Address : 11, Marcel Andreescu Str. Address : 3, Ferdinand I Blvd. Address : 19, Unirii Blvd. Address : 12, Franklin Str. Address : 2, Nicolae Balcescu Blvd. Address : 11, Nicolae Balcescu Blvd. Address : 11, Dianei Str. Address : 7, Magheru Blvd. Address : 25, Nicolae Balcescu Blvd. Address : 32 - 34, Mendeleev Str. Address : 18, N. Titulescu Blvd. Address : 9, Edgar Quinet Str. 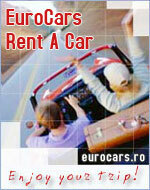 Address : 5, Nicolae Golescu Str. Address : 30, Caderea Bastiliei Str. Address : 22, Sepcari Str. Address : 80, J.L. Calderon Str. Address : 4-6, Soarelui Str. Address : 35, Mendeleev Str. Address : 5, George Enescu Str. Address : 26, Putul lui Zamfir Str. Address : 1, Bibescu Voda Str. Address : 4A, David Emanuel Str. Address : 2, Burebista Blvd. Address : 4A, George Calinescu Str. Address : 35, Sfintii Apostoli Str. Address : 10, Edgar Quinet Str. Address : 8-10, Magheru Blvd. Open daily : 24 hrs. Address : 13, Regina Elisabeta Blvd. Address : 23A, N. Balcescu Blvd.